People displaced by the early March floods have returned to their damaged structures which continue to put them at risk of falling prey to similar disasters. The situation has prompted some flood survivors still living in camps to hang on if government does not assist them with building materials to erect strong houses. Their sentiments come against a background of President Peter Mutharika pledging on March 13 this year to extend the Decent and Affordable Housing Programme (DAHSP), widely known as Malata and Cement Subsidy, to all affected families. The President spoke in Balaka and Machinga districts where he visited displaced people. Checks in seven of the 15 districts affected by floods show that people who left the camps have started raising weak structures made of mud, grass and sticks. But in a telephone interview yesterday, Department of Disaster Management Affairs (Dodma) Principal Secretary Wilson Moleni said all victims will be provided with starter packs. Without giving a specific time frame, Moleni said the DAHSP, as promised by the President, would be extended to all the affected families. In our tracking, we spoke to displaced people in Nsanje, Chikwawa, Chiradzulu, Phalombe, Mulanje, Zomba and Mangochi districts who indicated that they have returned to their respective homes. Alinuswe Jamali, a mother of four from Chipini area in Traditional Authority (T/A) Nkapita in Zomba, said they expected to have building materials by the time they were going home. “We were made to believe that by the time we were leaving camp, we will be provided with the necessary materials which has not been the case and we are back to the same weak structures we have put up,” she said. Area Civil Committee chairperson Andreas Jimu said if disasters strike, people are at risk of facing the same problems because of weak structures that have been put up. The narrative was also shared by camp chairperson for Bitilinyo in Nsanje, Shadreck Nyankhola, who said people will only move from the camp once they receive necessary materials. Ella Phinifolo, from the same camp, indicated that the people would only move if their demands to be given building materials were met. It is the same situation for displaced people at other camps, including Tiziola in Chikwawa where Minister of Homeland Security Nicholas Dausi last week tried to convince them to be patient. The situation in Chikwawa, according to district commissioner (DC) Lusizi Nhlane a week ago, was no better where 68 000 people from 11 800 households were forced to flee to safety zones as their villages were completely run down by floods. “As a council we do not have funds to resettle these people. Most of the houses that were affected were made of total mud so they could not withstand the water,” he said. Other DCs in Mulanje, Phalombe, Chiradzulu, Mangochi, and Nsanje in separate telephone interviews last week painted a picture of a colossal challenge they are facing to resettle thousands of people still holding out in camps. Mulanje DC Charles Makanga said out of 50 camps that were initially set in the district to host 6 500 households, 29 were remaining where about 4 000 households were waiting to be resettled. “From these figures, you can tell that there is still a big challenge if we are to resettle the remaining households. Critical challenges remain shelter as many of the families had their houses destroyed,” he said. A total of 41 camps were set up in the district where 18 000 households have sought temporary shelter for the past three weeks, according to Chikwawa district information officer Martin Chiwanda. “Currently, we still have about 13 000 households who are yet to be resettled,” he said. Chiradzulu DC Malango Botomani said although a single camp was remaining in the district, the resettlement woes had not spared the council. “We still have a camp at Mbulumbuzi but the challenge remains that most people cannot afford to raise structures to use unless they get assisted,” she said. Phalombe DC Memory Kaleso also said her district had registered a total of 23 000 households affected by the floods. 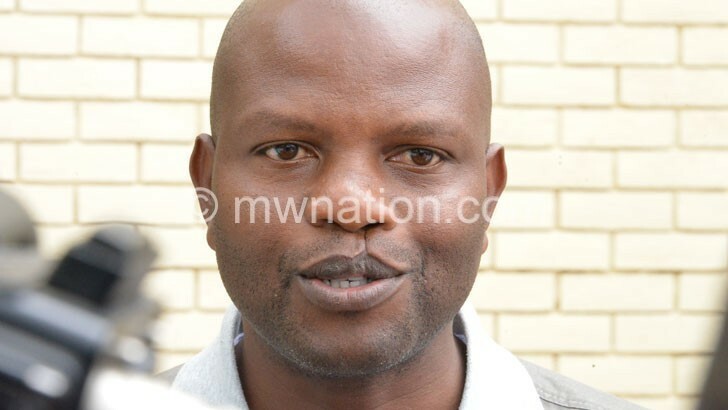 Malawi Red Cross Society spokesperson Felix Washon, in a written response, confirmed the fears by DCs on the scale of challenges in the resettlement phase of the disaster response. But presidential spokesperson Mgeme Kalirani said all responsible State agencies were working on the President’s directive to ensure that those affected should be assisted. The post Flood victims return to damaged structures appeared first on The Nation Online.